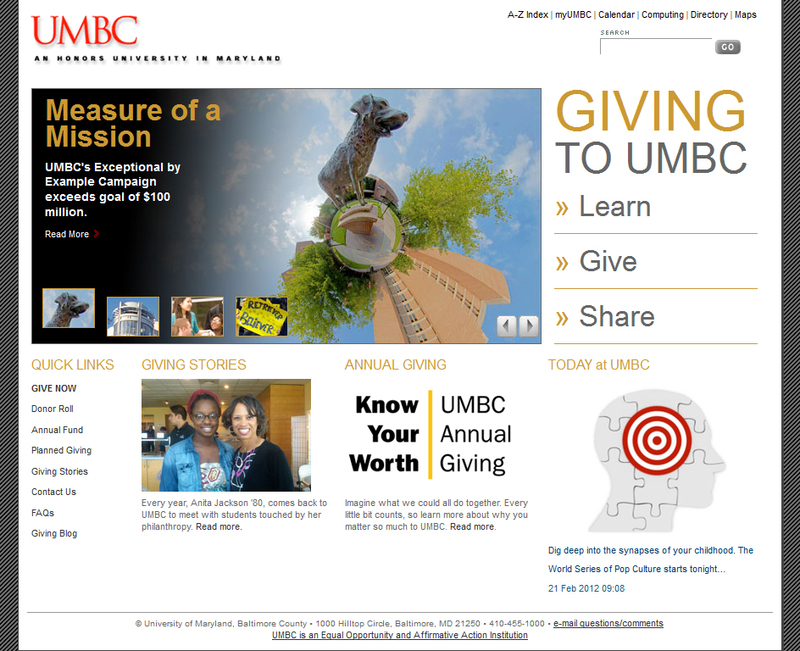 We’re pleased to announce that UMBC’s giving site, Giving to UMBC, has been recognized by the Council for the Advancement and Support of Education. The site, which won a 2012 Region II silver medal in the Website: Fundraising/Development category, went live in fall 2010 and features a Tumblr account that clues you to daily campus happenings, a new blog on giving, donor and student stories, and plenty of chances to learn about the effects of philanthropy. You can even share your own giving experiences with the world. The latest issue of UMBC Magazine features a nice little piece about the win. Read the full story here.